Mega Sale! Save 27% on the Dynasty Hardware HER-82-12P Heritage Lever Passage Set, Venetian Bronze by Dynasty Hardware at Verso Laquila. MPN: HER-82-12P. Hurry! Limited time offer. Offer valid only while supplies last. 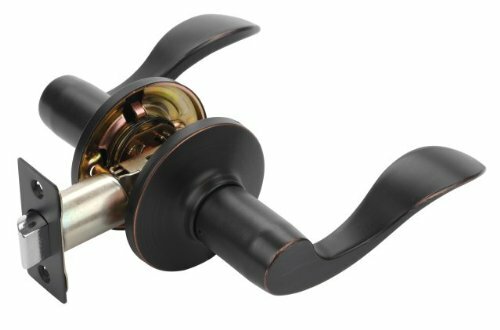 The Dynasty HER-82-12P Venetian Bronze grade 3 lever sets are a great value and offer an attractive design that will compliment any homes décor. The Dynasty HER-82-12P Venetian Bronze grade 3 lever sets are a great value and offer an attractive design that will compliment any homes décor. Features include non-handed design, adjustable latch and a 10 year mechanical warranty. Passage sets are typically used on closet doors, bedrooms and other doors that you want to latch but do not lock. Backset: Adjustable 2-3/8" - 2-3/4"
If you have any questions about this product by Dynasty Hardware, contact us by completing and submitting the form below. If you are looking for a specif part number, please include it with your message.